There is a lot of content out there. Especially on the web. I would even argue there is too much content out there. And we are all adding to it. Sometimes even without realising we are adding so much to the pile of content already existing. As with many things, it’s always a good thing to realise what exactly we are doing. That starts with understanding what different content types are. In this article, you will find a list of 72 different types of content you might be creating. Use this to explain within your business what it is you are doing or should be doing. Before I start with the list I’d like to focus first on content goals. Because we will all agree that creating content ‘just because’ is wrong. Each piece of content created needs a goal. So before you start creating, you must understand what goals you have. Once you know the goals, you can fit in the content that fits you best. Shareable content is content that is aimed at making people share it. You want as many people as possible to see the content, so you need others to share. This content triggers people to do that. Thought Leadership content is content that is aimed at showing you know your stuff. By creating content that helps others, you aim to get people to turn to you for knowledge and future predictions. You lead the way. Educational Content is content that teaches your audience. It helps them become more knowledgeable and better at their jobs. What in return will rub off on your brand. Branding Content is content specifically aimed at showing and growing your brand. Becoming more visible to the world by showing what you do, who you are and what you stand for. Persuasive Content is content that is aimed at getting people to the next phase in the marketing funnel when it comes to your product. You want to show them how you or your product stand out in comparison with competitors. Finally Product Content is content that is specifically aimed at showing the target audience what you do or what your product does. Demo’s and website pages are part of these. Within the above-mentioned content goal types, there are different content types. Below I’ve listed 72 of them. I’ve placed them in the order of the content goal types but be aware they can in some cases also fit in another goal type. Social content is the updates we all know on Social Media platforms. These are the ‘standard’ Twitter, Facebook and other updates. A good way of showing humour and getting shares: Sharing of humorous memes around a topic in your niche. 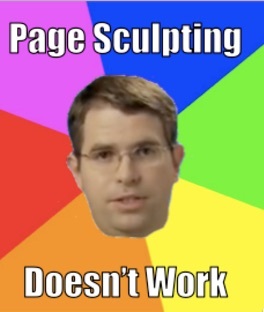 Matt Cutts – memes always did really well in the search industry for example :-). Visual Marketing is hot. This means actively supplying followers with photos or short videos on Snapchat or Instagram for example. Want to get your community involved? Organising a Twitter chat on a specific topic is a good way of showing your brand, making it shareable and building the thought leadership in one. Asking people for their quick opinions always works. A poll is so simple people can’t resist answering. And share. Because they are now part of the content. A bit more extensive than polls are surveys. Gathering information from your peers on a specific topic can help you create content they want to read as well as share because they feel part of it. Gamification is a bit of a big word because you can go very broad with it. Simple forms are quizzes and small games etc that make people think about you and share their progress. But you can make it as big as you want. It’s one of the easiest ways of getting shares. Creating a contest or a giveaway will make sure people share because they want to win. It’s very short term, but it works! We all love quotes. Entire sites are dedicated to it. And if you analyse social media you will see many people sharing (inspirational) quotes. Sharing interesting quotes about your industry topic can increase your shares on your content. They were a hit for building links at one point. But the visual representations of content in the form of infographics is also popular because it’s easy to consume for the audience. There’s so much going on on the web that we need gatekeepers. Those that tell us what is happening. Being the source of reports for your industry is a great way to build thought leadership as well as get shares. Researching and publishing facts (like the best time to send an email) is the ultimate way of combining thought leadership with sharing. People LOVE to share numbers and facts. And if they come from you: win! Closely related to the facts and statistics you can share are diagrams. They are basically a visual representation of data. Making sure it’s easy to consume, and share! People need help. With so many things going on, they need to do what goes first. Checklists help with that. Help your audience get to a certain outcome step by step by giving them a checklist. It shows you know, and on top of that, it’s good for sharing as well. Tools are always good. Some of the most popular posts here on State of Digital are about tools. Imagine if you do not just write about them, but create them. 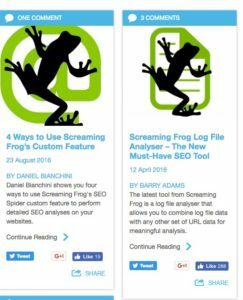 Tools that will help your audience do a better job (like for example headline analysers) always show how knowledgeable you are and get shared a lot. Whenever you do a presentation there might be a 100 people in the room. But that presentation doesn’t end that. You can upload presentations to for example Slideshare to reach many more people and show your thought leadership. We love a good rant here (one of the reasons we have Barry 😉 ). And for good reason. It makes for an interesting read as well as for a debate. Controversial articles or videos that state opinions have multiple purposes, with one of them being that you show you have ideas. To be honest: some have gone overboard with this in the past few years, but it works. 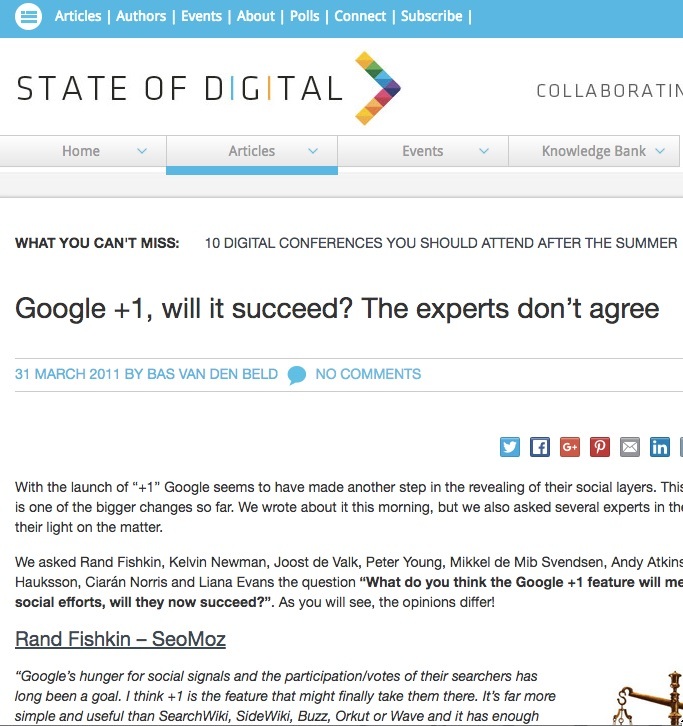 Articles where experts are asked about a current topic always do well. And if you are the one connecting the experts together, it shines off on you. Where round ups are mainly quotes or some paragraphs from the experts, you can go much further. Content created by experts, produced by you is a very good way of showing you are on top of things. Whitepapers or e-books with articles from experts, therefore, are quite popular. Trend Reports are reports about what is trending in your industry, produced by you. They show graphs, data and text. And the good thing is: you can show your custom data. If you know how to program, developing plugins for popular open source platforms can be a huge potential. Yoast build an entire business on it. It shows you know what you are doing! Those that have written a book often say that a book is like a huge business card that doesn’t go away. If you can write and if you want to really show your thought leadership, as well as your brand, you should definitely work on publishing a book. If you have a book, the next step could be to publish an audio version of the book. For those that like to listen instead of read. You might think an e-book is the same as a book. And though many books also come in a digital format, that’s not what I mean with e-books. E-books produced about a specific topic are often thinner and more actionable than ‘normal’ books. And more timely. Closely related to the e-books are the white papers. These are a robust version of e-books or information given in pdfs. The white papers are very timely and often used as lead gen. They seem very 1995, but they still are very active if you look closely. And if you know what they ‘look like’ these days. But sites like Quora and also Reddit are the ‘new’ forums. Participating on a forum in your niche will definitely give you thought leadership. A recurring podcast about a topic in your industry is one of the best ways to show you know your stuff. Even though there are many already out there, new ones are still welcomed with a lot of enthusiasm. 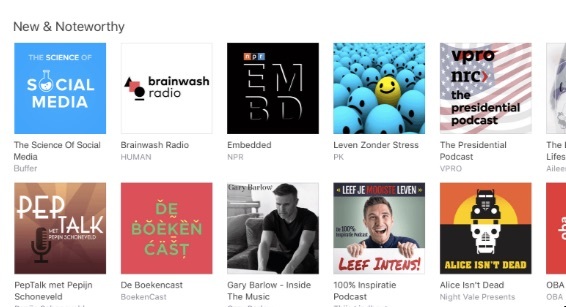 Looking for a good podcast to listen to? I’ve listed 25 good ones here! You can see them on Reddit for example. “Ask me Anything” is an interview format in which everyone in a community can ask questions. Being part of an ask me anything interview as the one being interviewed or the one organising can help your brand a lot and show your thought leadership as well. 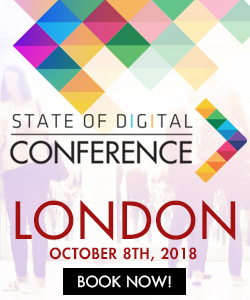 The end of the year is coming, so brace yourself for prediction articles, also here on State of Digital! Why? Because they work! We want to know what is coming. Predictions (usually articles) about upcoming trends are a great way of showing the knowledge of your brand. It might not look like something that shows how knowledgeable you are, but interviewing others does add to your brand as well as your thought leadership. Being the one interviewing others, the ‘fame’ of the one you are interviewing rubs off on you. Speaking at a conference is a great way of showing what you know. And even though this doesn’t ‘feel’ like content production, it really is. You are creating a new story, new slide decks and bringing new information into your industry. A simple way of helping your audience is Q&A’s. Answering questions from clients/potential clients/peers shows you know your things and it helps your audience as well. We mentioned e-books and white papers before, but even though How to Guides seem similar, they are different. How to Guides is E-book style content on how to do things in your niche. For example how to advertise on Facebook, or how to create a Snapchat filter. You can do them in articles or as a downloadable. One important thing: these guides are not about how to use your product! A very popular content type currently are webinars. In webinars, people can learn from you or an expert affiliated with you. It’s the equivalent of an online presentation or workshop. There are even entire websites like Calq or Digital Marketing Depot dedicated to it. And there are many examples of brands, like SemRush for example, using it in their marketing strategies. Like with checklists, people love help on getting their job done. Templates can help with that. Provide your audience with a process they can follow and material they can use and they will love you for it. Because you are making their work easier for them. E-mail is a topic on its own. You can send a lot of different types of e-mails. One that is often educational is the newsletter. In this type of newsletter, you don’t talk about what you do, but you talk about content around the topic you work in. Offering a course on topics you are knowledgeable about can be very beneficial for your business. You could make money with it, but mostly it helps your marketing. It shows how knowledgeable you are and at the same time, you teach others. And people tend to turn to their teachers when they need more help. 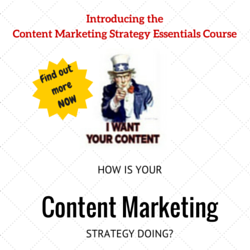 Looking for content marketing course? Look no further! We love to look at others. And we want proof of success at the same time. Therefore, case studies about clients or other businesses can definitely help. Not by showing the reader what you did, but how big the success was of the client. Content creation can go far. You might stop at your website, or you build it out much further. Like creating a magazine. There are several examples of brands using this to their benefit. Airbnb, for example, has their own magazine. Publishing a magazine on a specific topic helps your brand and helps people think about topics as well as build your thought leadership. Attending events is always a good idea. You learn a lot and you meet a lot of people. At events, you can also ‘leave’ content behind. For example through sponsoring the event, which allows you to maybe have a booth or to be visible on banners, presentations etcetera. Events are great. There are a lot of people together and even more interested in what is actually happening at an event. Content you produce around (industry) events usually get a lot of attention. And again, it rubs off on you. 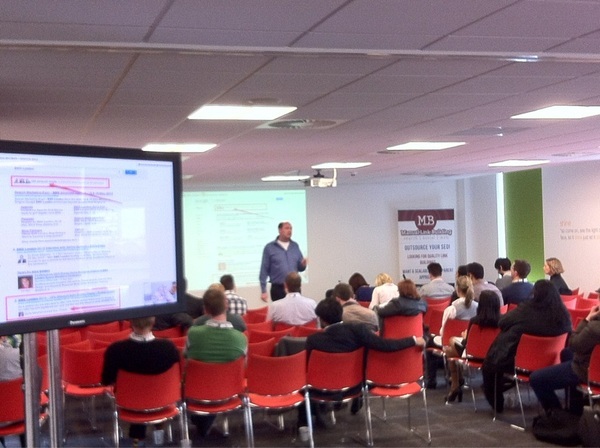 Organising your own event is one of the most interesting content types you can create. By getting speakers together to talk about specific topics you can become a thought leader yourself as well as build your brand. It’s a lot of work, but very effective. As said before, there are many different forms of e-mail. One is sending out e-mails to your database about your business or product, marketing e-mails. In these, you can actually start talking about yourself! This might not sound like content creation but think about it. Having lunches with industry peers, clients and potential clients always creates conversation. Now here’s an idea: get them together in a room and do a presentation. It’s a small event in a way. But very effective. The hype of the decade so far? Maybe. But we can at least say that Vlogging is “hot”. Many vloggers talk about everyday stuff. But why would you start creating videos about a specific topic? Gary Vaynerchuk made it into a multi-million dollar business. And it builds your brand! Getting endorsements from your clients/ people in the industry is one of the oldest tricks in the book. But they work. People want to see the who trusts you. So getting endorsements, recommendations and more on sites like Linkedin or any other site than your own website definitely helps your brand. We can almost say we all went mobile. In the digital industry even more. That means you have to be mobile ready. One way is mobile friendly websites, another is Mobile apps. Apps that help your audience or clients will not just build your brand, it will connect you to your audience. We all used to have a page like this on our website. Most of us still have it: the news page. And with news we meant news about us or our products. And even though we don’t want to talk about ourselves too much, it still has its value. People like to know how you’re doing. It builds trust. Have you seen them popping up on websites? Asking you if they can send you push notifications? It’s a new form of grabbing the attention. If you don’t want to subscribe to our newsletter, why don’t we send you updates every time we change something (or whenever we want)? In the line of company news, there is a different form of content that gets a lot of attention: Transparency content. This is content that shows what you and your business are doing. However, this is not in a ‘news’ way, but in a transparent explanation way. Look at how Moz talked about their layoffs, for example, that’s transparency. Highly appreciated by your audience. And good for your brand. People love stories. And people love personal stories even more. Making things human. 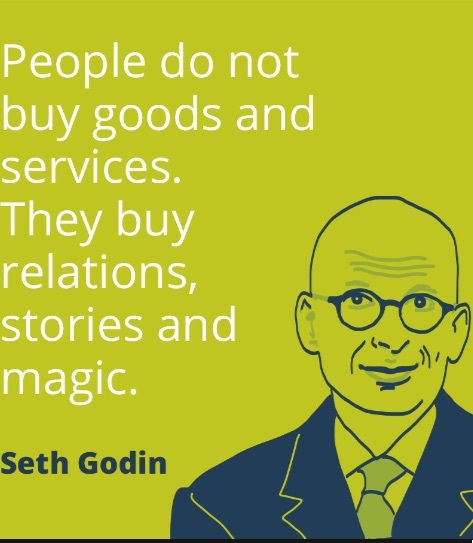 Stories connecting personal life with business are a great way of connecting with the audience and showing you have a human brand. You have your ‘regular’ website, but sometimes you need more. Microsites are websites aimed at a specific (sometimes temporarily) topic. It could be an event or a special occasion around your business. You can interview others, but being interviewed yourself is even better. Getting yourself or people from your business featured in an interview on other websites or magazines is a great way of showing your brand and building trust. And if you say the right things, it’s thought leadership as well! If you want to show how you compare to others, showing how your current customers rate you or your product is a very good way. It’s not a recommendation, but actual research. Testimonials from clients about you are a must-have on every website. Clients that have had good experiences with you will help persuade the next ones. Advertising your product, business or content can also be seen as producing content. After all, there is something the audience is looking at. Ads still are a very effective way of getting attention and persuading the audience. Landing pages are a critical part of persuading an audience to buy from you. 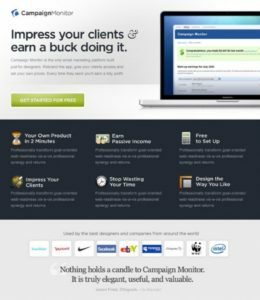 These are the pages on your website that are meant to convert on which the offer is shown. Whenever you go ‘out of the office’ with your business, you need material to showcase what you do. Brochures and fliers etc, used for example at conferences or pitches are usually ‘hard copy’ content that is aimed at selling. If people buy, they want to know what it costs. And they want to know if somewhere else they can find the same thing cheaper. Price guides can help people with their decisions. These are a comparison between different products or services in your industry, including yours of course. Whenever you are directly targeting potential clients, influentials, journalists, or anyone else who you can sell to, you need content that convinces them. This can be an e-mail, video, or any other format. People want to know what you sell. A list of what you offer therefore is very effective. Whether it’s on your website, in a brochure or elsewhere, an offer list shows what you have. Fact sheets are similar to offer lists but are much more about your products details. Fact sheets aren’t just what you offer, they are details about your product. Video works! In many different ways. One way that is very much about you is creating branded videos. Producing videos about your product means it gives you the opportunity to show the audience what you can do for them. 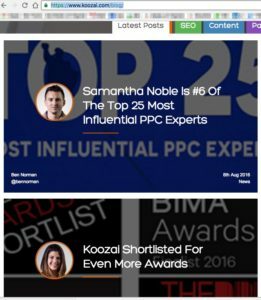 The ‘oldest’ digital marketing content around: your website. Which started off as an online brochure, website pages talking about your product, now is a ‘home’ for showing what it is you do. Answering Frequently Asked Questions about your product is a good way of showcasing what it can do, without being ‘too salesy’. Yes, they still exist. And yes, they still work. Sending out press releases about your product can be a useful way of spreading a message about you or your product. But you have to do it right. Writing a good press release is a challenge on its own. People love to hear success stories. So stories about your product or clients that show success are alw ays consumed with a positive feeling. Actually talking to leads, is that content? Well no, but the material you use for that, like slide decks, brochures, drawings and factsheets etcetera sure are. Make sure you “personalise” them for your potential clients! Just like with testimonials, people love to hear from others than you about your product. Reviews from others about your product therefor are extremely useful. Showing demo’s of your product is a very controlled and efficient way to showcase what your product can do. You can create live demo’s or pre-record them and publish them.